Seven returned to ratings glory last week, after Nine’s victory due to State of Origin. Last week shows like Seven News and House Rules aided its network share. 7flix, which is now in an “older” MPEG 2 playout after launching on the more-limited MPEG4, drew its best ever share. Lifting from 1.5% a week earlier to 2.2% it was enough to beat 9Life, and surpass GEM in the demos. 2.2% share appears to be enough to have helped Seven over the line for a weeky win. TEN improved on the preceding week thaks to MasterChef and Have You Been Paying Attention? Seven: Seven News (Sun: 1.42m), House Rules (Sun: 1.1m), Home and Away (762,000) and Better Homes and Gardens (744,000). Nine: Nine News (Sun: 1.43m), The Voice (1.3m), A Current Affair (875,000) and 60 Minutes (733,000). TEN: MasterChef Australia (Mon: 1.09m), Have You Been Paying Attention? (786,000), NCIS (720,000) and The Project (7pm: 634,000). ABC: ABC News (822,000), The Chaser’s Election Desk (776,000), Australian Story (759,000) and Grand Designs (730,000). SBS: Great Continental Railway Journeys (357,000), DNA Nation (294,000), Insight (259,000) and Ireland with Simon Reeve (258,000). Seven won 16-39 while Nine won 18-49 and 25-54. Seven won Melbourne, Brisbane, Adelaide and Perth. Nine held Sydney. TEN bettered Nine on Tuesday, while ABC pipped TEN on Saturday. Seven won Sunday, Tuesday, Friday and Saturday. Nine took Monday, Wednesday and Thursday. I am still convinced they’re on a honeymoon period, I cannot see 7Flix remaining that high for long. 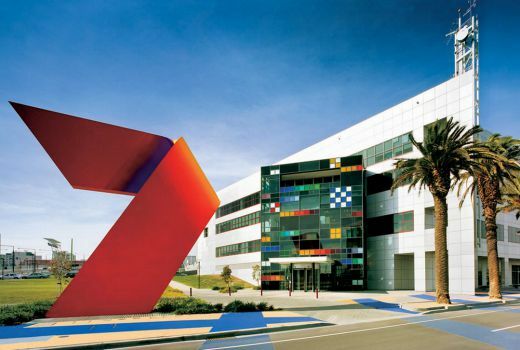 Congratulations to Seven on dumping MPEG4 and reaping the rewards. If Nine did the same with 9Life they would also have a ratings increase. MPEG4 is the Quadraphonic and Digital Audio Tape of the TV industry. A huge mistake which is leading to lower ratings and the decline of broadcast television. The last I checked, Nine (as opposed to WIN or 9NBN) doesn’t broadcast 9Life in MPEG4. Absolute rubbish. MPEG-4 permits networks to transmit the same number of streams at higher quality or more streams at the same quality. Quadrophonic failed because of several incompatible competing standards, expensive equipment, and a lack of support from record makers. DAT was stop-gap tech and was quickly superseded by the much more convenient and durable CD. The problem with MPEG-4 TV – in this country – is that uninformed people bought MPEG-2 only equipment which retailers were only too happy to sell them, and which the govt facilitated by poor decision-making and a lack of leadership. MPEG-4 is doing just fine in dozens of countries including most of Europe and our friends across the ditch. Any decline in broadcast TV ratings is due to lacklustre content and competition from alternative sources. I have an older clunky TV….probably 9 yrs old….and although I could not get 7Flix before..but can now since the change….I have never had trouble getting 9Life…so I would have to wonder about your assumption of 9Life being MPEG4? ?…..I am viewing it right now…. I suspect ratings may be more to do with the programming…. 9life has never been mpeg4 in metro regions. I still don’t understand why it launched in MPEG4. Surely someone must be held accountable for this bad, bad decision? MPEG4 offers better quality over MPEG2 for the same bit rate, so I totally understand why Seven launched flix in MPEG4 originally. 60 years on our TV standards are still screwed. “We won’t need any more than 10 channels”(1954), “Oh, we do need more, just add 0, 11 and squeeze 5A in the middle. Just shift channels 4 & 5 a bit, won’t matter that no one will be able to receive them ’til they buy a new TV”, “Channel 3’s in the, what, FM radio band. FM’s a passing fad, Australia will never want FM radio (PM R.G. Menzies)”, “Yes I know other countries, like NZ, use MPEG4 but we’re going with MPEG2”. Shambolicness continues. In the governments defense, MPEG4 was still in its infancy when we moved to digital tv. New Zealand on the other hand announced digital tv in 2006, and MPEG-4 was well established by then. However, regulation or not, it would be a shoddy tv manufacturer that wouldn’t have MPEG-4 support in the past ten years. MPEG-4 has been around since the late ’90s and was a mature technology when DTV commenced in Aus. Manufacturers had already switched to MPEG-4 but prob clapped their hands with glee when they found out that they would be able to dump all of their out-dated MPEG-2 product here, and at a premium over it’s value on the world market. We’ve been dudded at several points by govts on both sides being scared of losing votes if the great unwashed had their TV viewing interrupted. With 7, 7mate, 7TWO, Racing.com and TV4ME there wasn’t enough bandwidth to support another MPEG2 channel. Only since the demise of TV4ME has there been capacity to switch 7flix to MPEG2.